Onduline Apron Flashing is designed to seal the gap between Onduline sheets and vertical wall abutments. 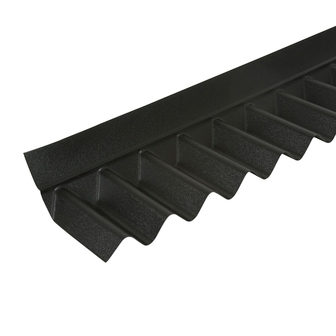 It is suitable for any pitch of roof and pre-formed to match the sheet profile exactly. Available in black.